Here are fourteen natural phenomena which conflict with the evolutionary idea that the universe is billions of years old. The numbers listed below in bold print (usually in the millions of years) are often maximum possible ages set by each process, not the actual ages. The numbers in italics are the ages required by evolutionary theory for each item. The point is that the maximum possible ages are always much less than the required evolutionary ages, while the biblical age (6,000 years) always fits comfortably within the maximum possible ages. 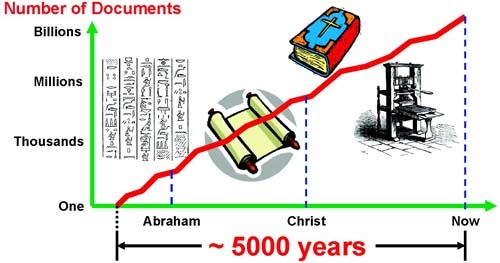 Thus, the following items are evidence against the evolutionary time scale and for the biblical time scale. Much more young-world evidence exists, but I have chosen these items for brevity and simplicity. Some of the items on this list can be reconciled with the old-age view only by making a series of improbable and unproven assumptions; others can fit in only with a recent creation. 1. Galaxies wind themselves up too fast. 2. Too few supernova remnants. According to evolutionary theory, comets are supposed to be the same age as the solar system, about five billion years. Yet each time a comet orbits close to the sun, it loses so much of its material that it could not survive much longer than about 100,000 years. Many comets have typical ages of less than 10,000 years.4 Evolutionists explain this discrepancy by assuming that (a) comets come from an unobserved spherical "Oort cloud" well beyond the orbit of Pluto, (b) improbable gravitational interactions with infrequently passing stars often knock comets into the solar system, and (c) other improbable interactions with planets slow down the incoming comets often enough to account for the hundreds of comets observed.5 So far, none of these assumptions has been substantiated either by observations or realistic calculations. Lately, there has been much talk of the "Kuiper Belt," a disc of supposed comet sources lying in the plane of the solar system just outside the orbit of Pluto. Some asteroid-sized bodies of ice exist in that location, but they do not solve the evolutionists' problem, since according to evolutionary theory, the Kuiper Belt would quickly become exhausted if there were no Oort cloud to supply it. Rivers and dust storms dump mud into the sea much faster than plate tectonic sub-duction can remove it. Each year, water and winds erode about 20 billion tons of dirt and rock from the continents and deposit it in the ocean.6 This material accumulates as loose sediment on the hard basaltic (lava-formed) rock of the ocean floor. The average depth of all the sediment in the whole ocean is less than 400 meters.7 The main way known to remove the sediment from the ocean floor is by plate tectonic subduction. That is, sea floor slides slowly (a few cm/year) beneath the continents, taking some sediment with it. According to secular scientific literature, that process presently removes only 1 billion tons per year.7 As far as anyone knows, the other 19 billion tons per year simply accumulate. At that rate, erosion would deposit the present mass of sediment in less than 12 million years. Yet according to evolutionary theory, erosion and plate subduction have been going on as long as the oceans have existed, an alleged three billion years. If that were so, the rates above imply that the oceans would be massively choked with sediment dozens of kilometers deep. An alternative (creationist) explanation is that erosion from the waters of the Genesis flood running off the continents deposited the present amount of sediment within a short time about 5,000 years ago. 5. Not enough sodium in the sea. Every year, rivers8 and other sources9 dump over 450 million tons of sodium into the ocean. Only 27% of this sodium manages to get back out of the sea each year.9,10 As far as anyone knows, the remainder simply accumulates in the ocean. If the sea had no sodium to start with, it would have accumulated its present amount in less than 42 million years at today's input and output rates.10 This is much less than the evolutionary age of the ocean, three billion years. The usual reply to this discrepancy is that past sodium inputs must have been less and outputs greater. However, calculations that are as generous as possible to evolutionary scenarios still give a maximum age of only 62 million years.10 Calculations11 for many other seawater elements give much younger ages for the ocean. 6. The earth's magnetic field is decaying too fast. 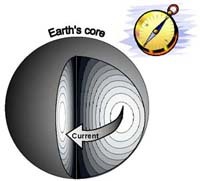 Electrical resistance in the earth's core wears down the electrical current which produces the earth's magnetic field. That causes the field to lose energy rapidly. 9. Fossil radioactivity shortens geologic "ages" to a few years. Uranium and thorium generate helium atoms as they decay to lead. 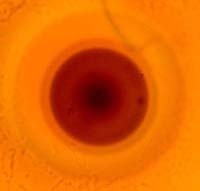 A study published in the Journal of Geophysical Research showed that such helium produced in zircon crystals in deep, hot Precambrian granitic rock has not had time to escape.25 Though the rocks contain 1.5 billion years worth of nuclear decay products, newly-measured rates of helium loss from zircon show that the helium has been leaking for only 6,000 (± 2000) years.26 This is not only evidence for the youth of the earth, but also for episodes of greatly accelerated decay rates of long half-life nuclei within thousands of years ago, compressing radioisotope timescales enormously. With their short 5,700-year half-life, no carbon 14 atoms should exist in any carbon older than 250,000 years. Yet it has proven impossible to find any natural source of carbon below Pleistocene (Ice Age) strata that does not contain significant amounts of carbon 14, even though such strata are supposed to be millions or billions of years old. Conventional carbon 14 laboratories have been aware of this anomaly since the early 1980s, have striven to eliminate it, and are unable to account for it. Lately the world's best such laboratory which has learned during two decades of low-C14 measurements how not to contaminate specimens externally, under contract to creationists, confirmed such observations for coal samples and even for a dozen diamonds, which cannot be contaminated in situ with recent carbon.27 These constitute very strong evidence that the earth is only thousands, not billions, of years old. Evolutionary anthropologists now say that Homo sapiens existed for at least 185,000 years before agriculture began,28 during which time the world population of humans was roughly constant, between one and ten million. All that time they were burying their dead, often with artifacts. By that scenario, they would have buried at least eight billion bodies.29 If the evolutionary time scale is correct, buried bones should be able to last for much longer than 200,000 years, so many of the supposed eight billion stone age skeletons should still be around (and certainly the buried artifacts). Yet only a few thousand have been found. This implies that the Stone Age was much shorter than evolutionists think, perhaps only a few hundred years in many areas. 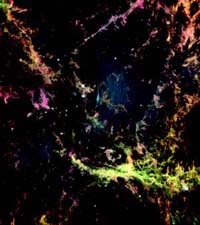 Scheffler, H. and Elsasser, H., Physics of the Galaxy and Interstellar Matter, Springer-Verlag (1987) Berlin, pp. 352-353, 401-413. 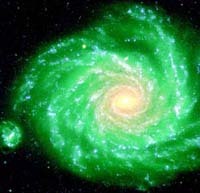 D. Zaritsky, H-W. Rix, and M. Rieke, Inner spiral structure of the galaxy M51, Nature 364:313-315 (July 22, 1993). Davies, K., Distribution of supernova remnants in the galaxy, Proceedings of the Third International Conference on Creationism, vol. II, Creation Science Fellowship (1994), Pittsburgh, PA, pp. 175-184, order from www.creationicc.org/proceedings.php. Steidl, P. F., Planets, comets, and asteroids, Design and Origins in Astronomy, pp. 73-106, G. Mulfinger, ed., Creation Research Society Books (1983), order from creationresearch.org. Whipple, F. L., Background of modern comet theory, Nature 263:15-19 (2 September 1976). Levison, H. F. et al. See also: The mass disruption of Oort Cloud comets, Science 296:2212-2215 (21 June 2002). Milliman, John D. and James P. M. Syvitski, Geomorphic/tectonic control of sediment discharge to the ocean: the importance of small mountainous rivers, The Journal of Geology, vol. 100, pp. 525-544 (1992). Hay, W. W., et al., Mass/age distribution and composition of sediments on the ocean floor and the global rate of sediment subduction, Journal of Geophysical Research, 93(B12):14,933-14,940 (10 December 1988). Meybeck, M., Concentrations des eaux fluviales en elements majeurs et apports en solution aux oceans, Revue de Géologie Dynamique et de Géographie Physique 21(3):215 (1979). Sayles, F. L. and P. C. Mangelsdorf, Cation-exchange characteristics of Amazon River suspended sediment and its reaction with seawater, Geochimica et Cosmochimica Acta 43:767-779 (1979). Austin, S. A. and D. R. Humphreys, The sea's missing salt: a dilemma for evolutionists, Proceedings of the Second International Conference on Creationism, vol. II, Creation Science Fellowship (1991), Pittsburgh, PA, pp. 17-33, order from www.creationicc.org/proceedings.php. Nevins, S., [Austin, S. A. ], Evolution: the oceans say no!, Impact No. 8 (Nov. 1973) Institute for Creation Research. Humphreys, D. R., Reversals of the earth's magnetic field during the Genesis flood, Proceedings of the First International Conference on Creationism, vol. II, Creation Science Fellowship (1986), Pittsburgh, PA, pp. 113-126, out of print but contact www.creationicc.org for help in locating copies. Coe, R. S., M. Prévot, and P. Camps, New evidence for extraordinarily rapid change of the geomagnetic field during a reversal, Nature 374:687-92 (20 April 1995). Humphreys, D. R., Physical mechanism for reversals of the earth's magnetic field during the flood, Proceedings of the Second International Conference on Creationism, vol. II, Creation Science Fellowship (1991), Pittsburgh, PA, pp. 129-142, order from www.creationicc.org/proceedings.php. Austin, S. A. and J. D. Morris, Tight folds and clastic dikes as evidence for rapid deposition and deformation of two very thick stratigraphic sequences, Proceedings of the First International Conference on Creationism, vol. II, Creation Science Fellowship (1986), Pittsburgh, PA, pp. 3-15, out of print, contact www.creationicc.org/proceedings.php for help in locating copies. Gibbons A., Calibrating the mitochondrial clock, Science 279:28-29 (2 January 1998). Cherfas, J., Ancient DNA: still busy after death, Science 253:1354-1356 (20 September 1991). Cano, R. J., H. N. Poinar, N. J. Pieniazek, A. Acra, and G. O. Poinar, Jr. Amplification and sequencing of DNA from a 120-135-million-year-old weevil, Nature 363:536-8 (10 June 1993). Krings, M., A. Stone, R. W. Schmitz, H. Krainitzki, M. Stoneking, and S. Pääbo, Neandertal DNA sequences and the origin of modern humans, Cell 90:19-30 (Jul 11, 1997). Lindahl, T, Unlocking nature's ancient secrets, Nature 413:358-359 (27 September 2001). Vreeland, R. H.,W. D. Rosenzweig, and D. W. Powers, Isolation of a 250 million-year-old halotolerant bacterium from a primary salt crystal, Nature 407:897-900 (19 October 2000). Schweitzer, M., J. L. Wittmeyer, J. R. Horner, and J. K. Toporski, Soft-Tissue vessels and cellular preservation in Tyrannosaurus rex, Science 207:1952-1955 (25 March 2005). Gentry, R. V., Radioactive halos, Annual Review of Nuclear Science 23:347-362 (1973). Gentry, R. V. , W. H. Christie, D. H. Smith, J. F. Emery, S. A. Reynolds, R. Walker, S. S. Christy, and P. A. Gentry, Radiohalos in coalified wood: new evidence relating to time of uranium introduction and coalification, Science 194:315-318 (15 October 1976). Gentry, R. V., Radiohalos in a radiochronological and cosmological perspective, Science 184:62-66 (5 April 1974). Gentry, R. V., G. L. Glish, and E. H. McBay, Differential helium retention in zircons: implications for nuclear waste containment, Geophysical Research Letters 9(10):1129-1130 (October 1982). gardner.pdf. See poster presented to American Geophysical Union, Dec. 2003, AGUC-14_Poster_Baumgardner.pdf. McDougall, I., F. H. Brown, and J. G. Fleagle, Stratigraphic placement and age of modern humans from Kibish, Ethiopia, Nature 433(7027):733-736 (17 February 2005). Deevey, E. S., The human population, Scientific American 203:194-204 (September 1960). Marshack, A., Exploring the mind of Ice Age man, National Geographic 147:64-89 (January 1975). Dritt, J. O., Man's earliest beginnings: discrepancies in evolutionary timetables, Proceedings of the Second International Conference on Creationism, vol. II, Creation Science Fellowship (1991), Pittsburgh, PA, pp. 73-78, order from www.creationicc.org/proceedings.php. Additional Resources for items 9-11. DeYoung, D., Thousands ... Not Billions, Master Books (2005) Green Forest, AR. Vardiman, L, Snelling, A. A., and Chaffin E. F., editors, Radioisotopes and the Age of the Earth, Vol. II, Institute for Creation Research and Creation Research Society (2005) El Cajon, CA and Chino Valley, AZ. (Technical). *At the time of publication, Dr. Humphreys was an Associate Professor of Physics at ICR. Cite this article: Humphreys, D. R. 2005. Evidence for a Young World. Acts & Facts. 34 (6).